It’s so much fun to show the kids pictures of them when they were younger and don’t really remember the things we did. They get such a kick out of it! So…you better believe that when we head off to the beach, whether we’re on vacation or driving down to our local haunt, pictures are going to be a big part of the day for me! These creative beach photo ideas will be so much fun to document your trip. And if your kids are still at the age where it’s not a bother to get their picture taken (tweens or teens, anyone?!) then they are going to love helping you out! I love taking pictures at the beach that are a little unique and fun. 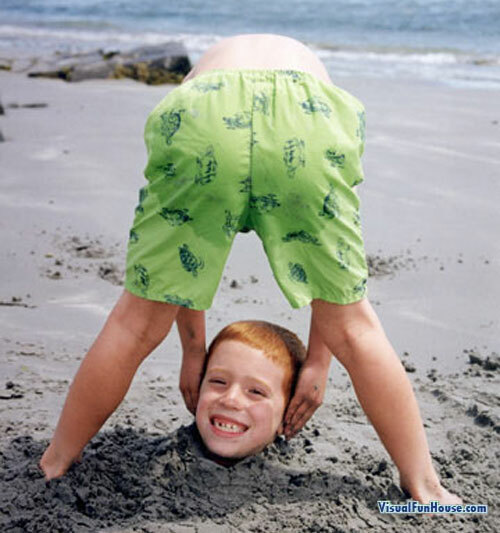 Do you have some little ones that LOVE burying each other in the sand? Then you HAVE to try this fun optical illusion from Visual Fun House! Bury a kid up to his neck, with the other one bending over so you don’t see his head and voila! You have the art of a little headless beach bum. This ranks at the top of my book for cute beach pictures! Don’t forget to do the illusion of having the sand pail taking over all of the little ones. Come Together Kids totally nailed it! 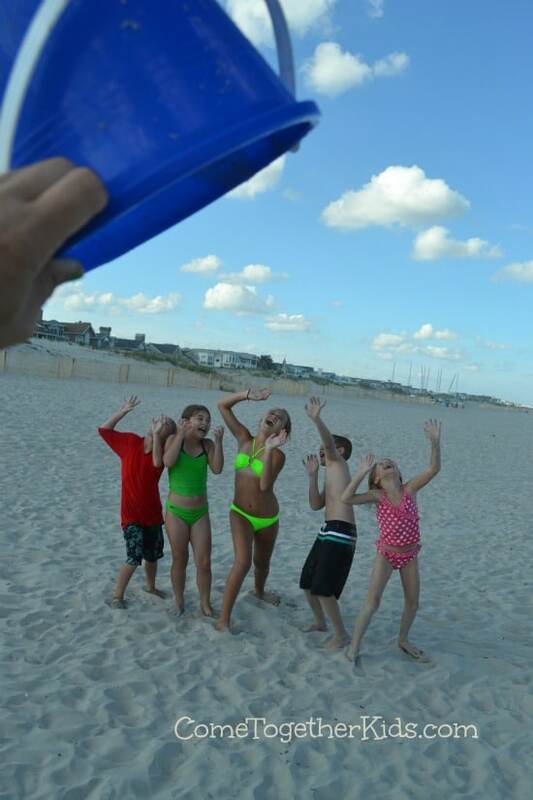 Get the kids to pose like something is about to crush them from above, take the pail and place it high up and snap that photo! 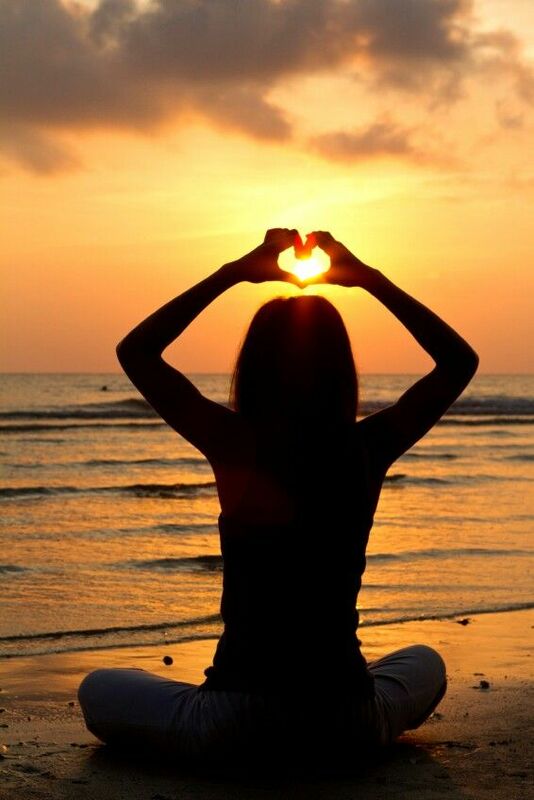 What better place than the beach to take advantage of those gorgeous sunsets (and sunrises!) that they always seem to bring? Both of these ideas above are just absolutely GORGEOUS Family Beach Pictures! 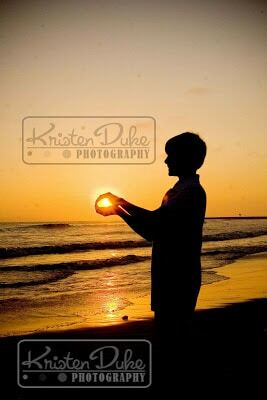 There is nothing quite as fun as “holding” the sun in your hands at the end of a fun beach day. Kristen Duke Photography nailed it. Document your family name and year. I LOVE to do this when we do family beach pictures. The top picture is one of my fav’s and I always make sure to have the kids hunt for shells and pebbles all over so we can spell out the year of our vacation. 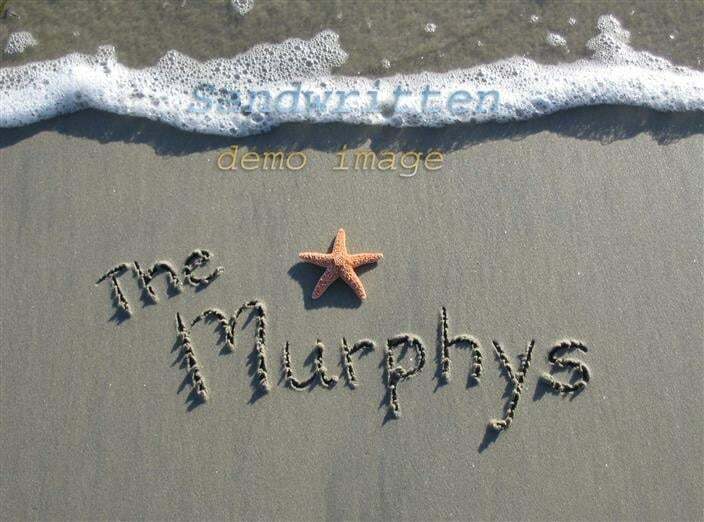 I also like the idea of writing your family name in the sand and I usually have the kids put in some hand prints in the picture too. Anything to help us document our travels and when we were there always brings a smile to my face when I find it down the line! Taking an extended family beach vacation? Than by all means, don’t let this fun and bright idea from Kristen Duke Photography pass you by! 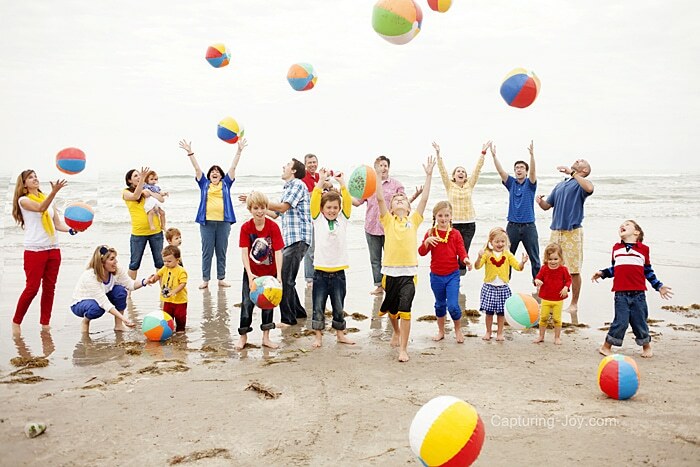 This beach photoshoot of the entire family couldn’t be more colorful. What a great memory for every single family member involved. They look like they are all having a blast! Bodies in motion at the beach is always a fun way to remember what that exact moment was all about! 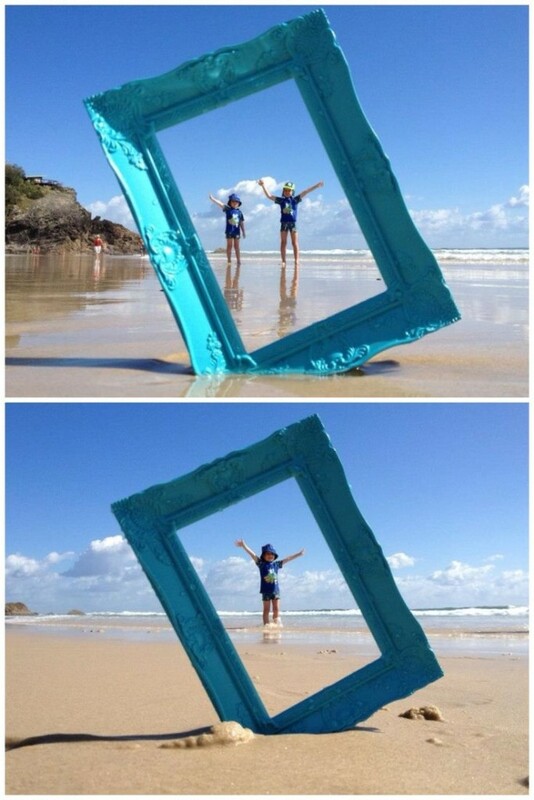 I also love the idea of bringing a frame to the beach and doing something like the above idea. But to get that motion in there, have your kids jump or throw sand! Or anything else that you can think of to “frame” those sweet little munchkins and treasure your family beach pictures! What better pictures to take at the beach than all of the little details you will NEVER want to forget of that particular beach adventure. These photographers got it right by making sure all of the little details of the day were being captured. 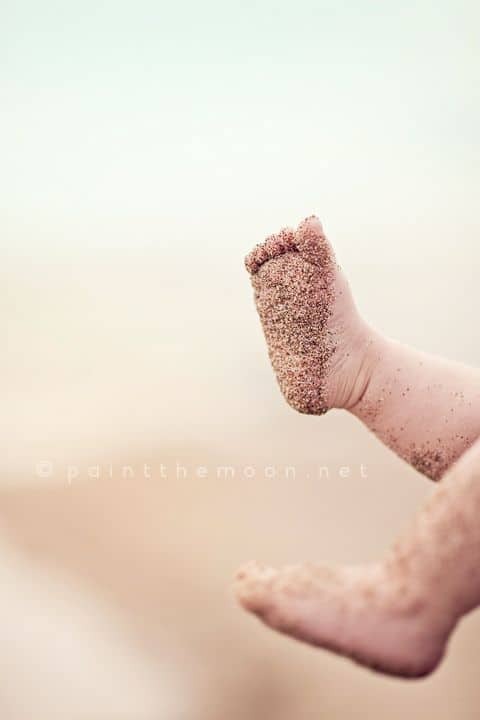 Make sure you remember how little your kiddos were with some detailed pictures of the sand on their feet. 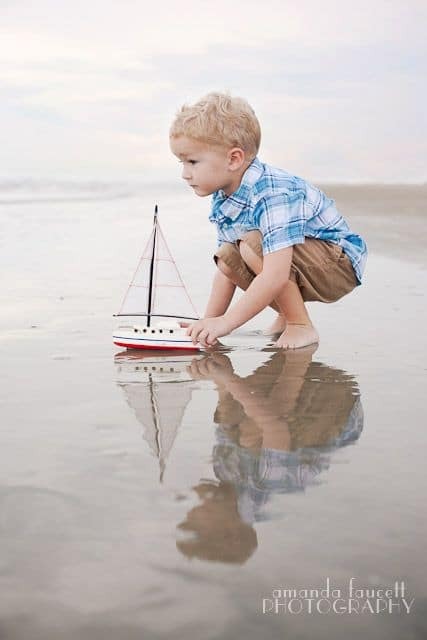 Or remember how sweet your little ones were together with a nice picture of them facing the water. And I LOVE taking pics of my kiddos playing with the particular toys we brought to the beach. Those toys may not always be their favorites, but they sure were that day and I want to remember it. 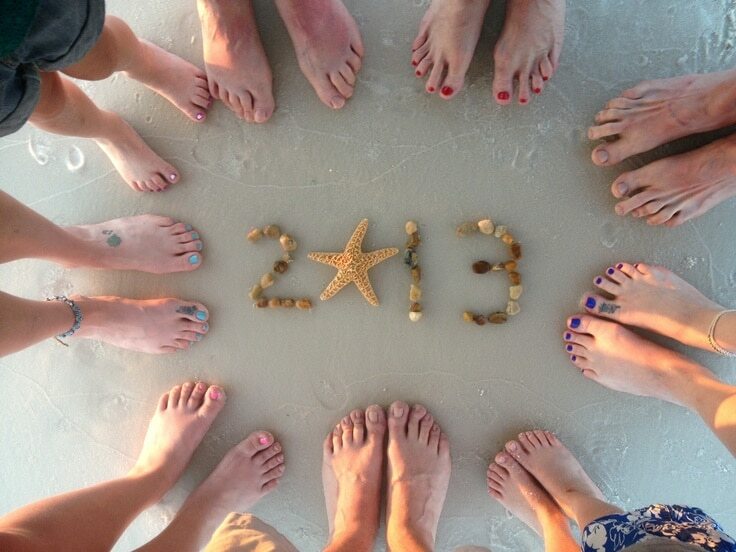 Don’t forget all of the little details that make your trips to the beach worth it! 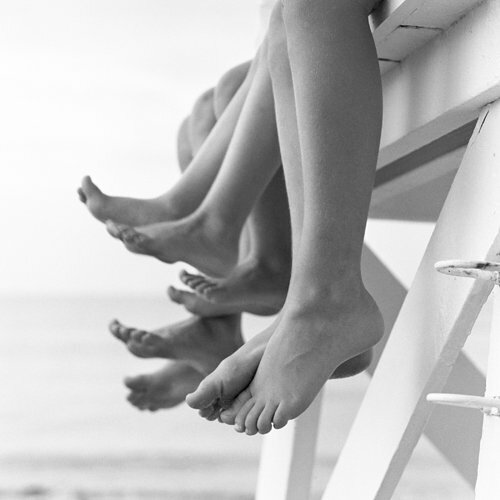 Get all of the family members involved when capturing the small details in your family beach pictures. Or at least get all of the littles together to remember how small those sweet feet used to be! 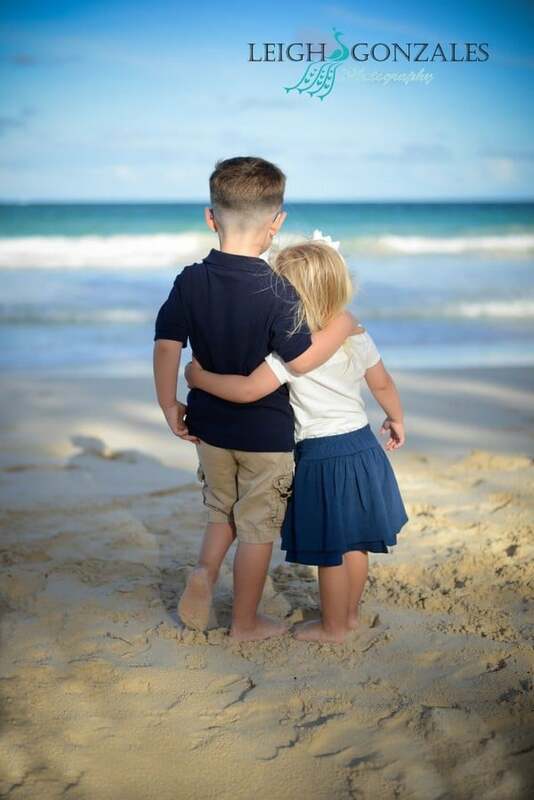 I love these family beach pictures that make the sweetest portraits! Wondering what you and the family can wear for your family beach pictures? These ideas will give you the necessary inspiration. 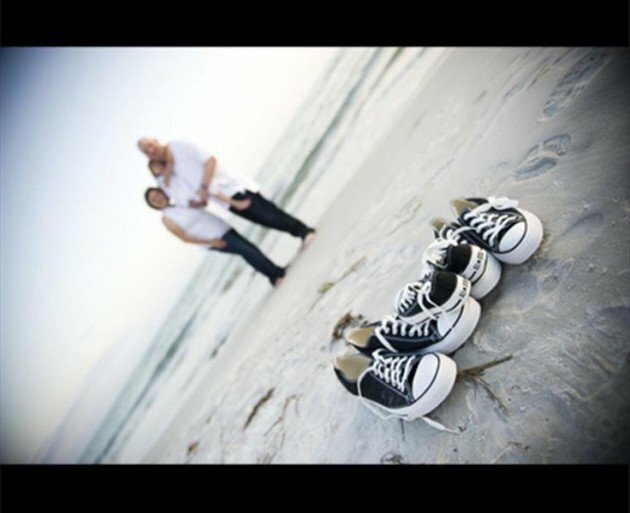 Even something as simple as these fun matching canvas sneakers can turn any family beach portraits into a great memory of your time spent together on vacation! Document your fun family days at the beach and you’ll love looking back on these memories when the kids are older. Want to make sure you don’t forget something at home? Check out my Family Beach Essentials article! Their childhoods race by so swiftly that I don’t know what I would do without the memories I have captured!